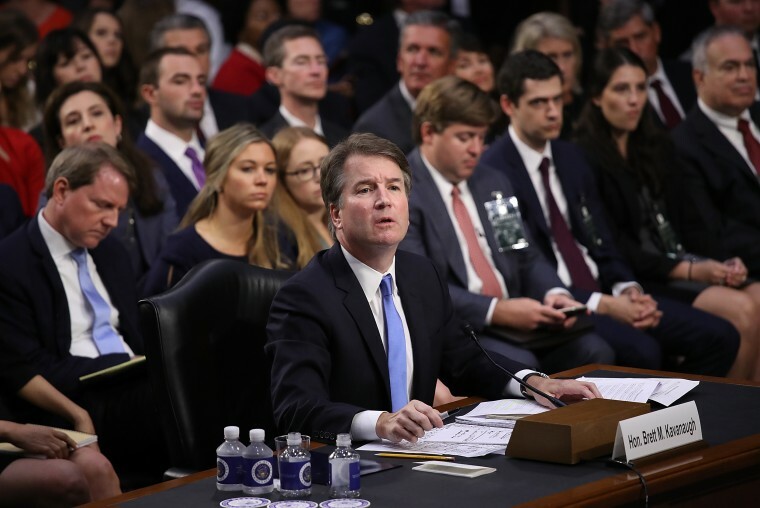 WASHINGTON — Democrats and Republicans haven’t budged in the last 24 hours over the accusations against Supreme Court nominee Brett Kavanaugh. Republicans are demanding that accuser Christine Blasey Ford testify on Monday or they’ll go ahead with a vote, while Ford’s attorneys are calling for the Senate Judiciary Committee to have additional witnesses. And Democrats are supporting that demand. Importantly, however, Ford’s lawyers have yet to say she WON’T be testifying on Monday. While this story remains a stalemate, each side has important questions to answer. For Republicans, why do they need to do this by Monday? What is one more week? It’s only September, and the election is just under seven weeks away. In addition, why no other witnesses? For Ford and Democrats, if Monday isn’t suitable, don’t they need to provide a reasonable day that is? This limbo can’t go on forever. As for President Donald Trump, he’s keeping his powder dry on this topic — especially if Ford does eventually testify. Will Brett Kavanaugh's accuser, Christine Blasey Ford, testify? Meanwhile, Sen. Claire McCaskill, D-Mo. — who is running in one of the most competitive Senate contests of 2018 — announced her opposition to Kavanaugh’s Supreme Court nomination. Her reasoning: campaign finance. "He has revealed his bias against limits on campaign donations which places him completely out of the mainstream of this nation,” she said in a statement. Not abortion. Not health care. Not Mueller/executive power. And not Ford’s accusation. But campaign finance. The timing’s interesting, too: She announced her opposition to Kavanaugh before this Ford matter comes to a conclusion. On March 21, in Washington, Mr. Trump announced his foreign policy team, a group of fringe figures whose advocacy of warmer relations with Russia ran counter to Republican orthodoxy. Meanwhile, Unit 26165 was poring over the bounty from a separate attack it had just carried out: 50,000 emails stolen from the Clinton campaign’s chairman. On March 24, one of the members the Trump foreign policy team, George Papadopoulos, sat in the cafe of an upscale London hotel with a Russian woman who introduced herself as Mr. Putin’s niece and offered to help set up a meeting between the Russian president and Mr. Trump. The woman and the adviser exchanged frequent messages in the weeks that followed. Today, Mr. Padadopoulos is unsure that those messages came from the person he met in the cafe. Later this afternoon, Trump departs to Las Vegas, where he holds a rally at 10 pm ET. Now with less than seven weeks before Election Day, here are the ad-spending numbers (TV and radio) in the top Senate battlegrounds, according to data through Sept. 20 from Advertising Analytics. The numbers are for the general election — so spending after the primary concluded in each state — and the information in parenthesis is the largest advertiser in each state. Out of these 12 races, Democrats are leading in ad spending in seven of them, the GOP is leading in four, and they’re tied in one (West Virginia). There isn’t a single red-state Democrat — Heitkamp, Manchin, Tester, McCaskill or Donnelly — who’s being outspent right now. After being outspent over the airwaves by about 50-to-1 back in May, Democrats are now close to parity in Florida. In New Jersey, Hugin and Republicans are outspending incumbent Sen. Bob Menendez and Democrats by more than 2-to-1. And in Texas, Beto O’Rourke is outspending Ted Cruz and Republicans by more than 3-to-1. So in Pennsylvania, Democrats are outspending Republicans by a 4-to-1 margin; in Ohio, it’s a 13-to-1 margin; and in Michigan, it’s a whopping 1,000-to-1 margin. No wonder those races aren’t competitive.